Last updated: Jun 1st, 2016. The OnePlus X is an affordable phone from OnePlus which launched in 2015. 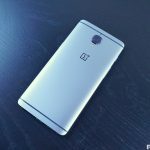 A rumor started making the rounds that OnePlus was working on a sequel to the affordable OnePlus X, but OnePlus is categorically denying it. 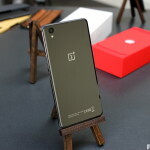 OnePlus is currently enjoying their most successful launch yet, but some folks in the community seem keen on raining on their parade to bring some important issues to light. It seems OnePlus 3 owners won’t have long to wait for the Android 7.0 Nougat update to hit their handsets. 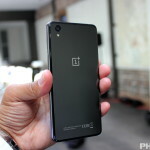 OnePlus has confirmed that the device will begin receiving the first goods starting this month. If you’ve looked at the OnePlus store lately, you’ll notice that many variants of the device are out of stock, with only the such and such being available at any given time. Well, it appears there’s reason for the dwindling availability: OnePlus might be getting ready to retire it. OnePlus CEO Pete Lau announced yesterday that the company is getting out of the mid-range smartphone business. 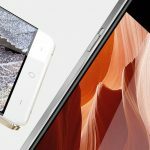 OnePlus is not planning to release a new OnePlus X smartphone and will instead focus its efforts completely on “true flagship” devices. OnePlus has announced that it is now selling its phones through Amazon. 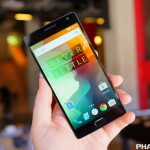 The OnePlus 2 is now available through Amazon UK and the OnePlus X is coming soon. OnePlus today announced a permanent price reduction across the entirety of their current smartphone lineup. The reduction is a nice $50 for the OnePlus One, OnePlus X, and the OnePlus 2. That brings the devices’ starting prices to $199, $249, and $299, respectively. There’s something about being a smartphone/Android enthusiast that we’re constantly trying to identify every piece of tech whether in real life or cinema. According to OnePlus, they were willing to fork over $300,000 to get their phones — OnePlus One, OnePlus 2 and OnePlus X — into the hands of prominent House of Cards characters. Did spot them? 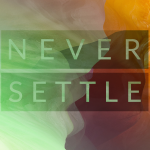 OnePlus has announced a new installment plan to make paying for orders easier. Folks shopping in the company’s US store can pay for any order over $99 in installments, so you won’t have to pay full price for a device upfront. 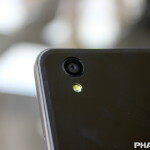 OnePlus has released an over the air update to the owners of the OnePlus X which will fix the image corruption issue that has plagued the device.